Last night saw the Newquay premiere of the Endless Winter II, a feature length documentary charting the voyage of early surf pioneers down through Europe and into Africa. 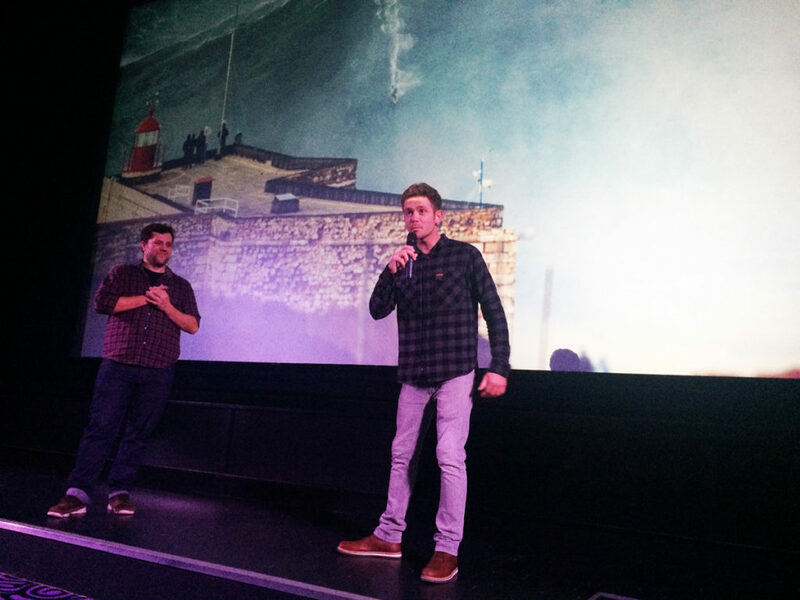 The documentaries co-director James Dean and presenter Mark ‘Egor’ Harriss greeted a packed auditorium, introducing the culmination of two years of hard work to an excitable gathering of surf fans. For Newquay boy Egor the screening, which is the 12th stop on a tour of 15, felt like a home coming affair, as he spun yarns on the mic and greeted friends and family amongst the crowd. The film opens on Egor setting off from Crantock beach, and from the moment he hit the road, the format felt masterful and authentic, capturing classic characters and interactions with an understated spontaneity and ease rarely found in surf cinema. It was funny and light hearted, blending genuine insight into the little known history of some of Europe’s favourite surf towns, with all the froth of the classic road trip experience. The on screen cast were well selected, with exuberant talking heads including pioneers like Francois Lartigau, Maurice Cole, Nat Young and Cornwall’s own Roger Mansfield. The surf action was enjoyable, but it was the film’s dedication to interesting stories (did you know for example, there’s a surfer in Morrocco sponsored by their King?!) that really made it stand out, giving it a broad appeal for surfers and non-surfers alike. On the way out I heard two separate members of the crowd sharing how desperately it had made them want to get and out and go surfing, and no amount of verbose adulation can replace that as a marker of what a success the film is. Unfortunately the UK run of screenings is nearly over, although you can still catch it if you’re in West Kirby or Swansea! Alternatively you can watch buy the DVD! Fancy another evening of surf cinema on the big screen? We’re screening the Seawolf, along with some accompanying shorts, in Bristol, Newquay and Exeter. Watch the trailer and find out more here.